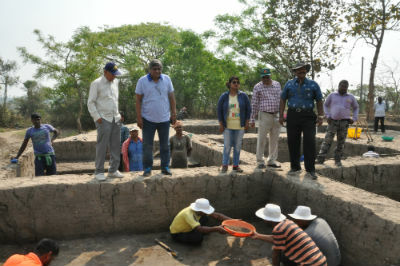 Bhubaneswar 12th March: A team from the Indian National Trust for Art and Cultural Heritage (INTACH), led by the State Convener A.B.Tripathy visited the excavation site in the Prachi Valley being done by the Archaeological Survey of India. The Intach team inspected the site and the findings and held discussions with the ASI Superintending Archaeologist. The excavation site has revealed a flourishing settlement which was agrarian in nature and also domesticated cattle and engaged in fishing. Some unique finds include bone harpoons and hooks, stone axes, potsherds besides remains of fauna ranging from sharks to rhinos. The State Convener said that INTACH had realised the relevance of the rich civilisational remains of the Prachi Valley and had launched a project for listing of the monuments and remains of this rich river valley earlier in January this year. According to Anil Dhir, the Project Head, the entire stretch of this ancient river is being surveyed and every monument, remains, edifices and heritage is being documented and listed. He said that in the last two months, the team has made many new discoveries, both of tangible and intangible heritages. He said that many places have been identified where surface finds of archeological paraphernalia has and is being found. Dhir said that Intach will share all its findings with the ASI and that the importance of this site will come to light. 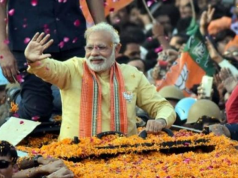 He said that the evidence unearthed by the ASI shows that the Prachi Valley Civilisation predates the Mohanjo Daro and Indus Valley Civilisation. 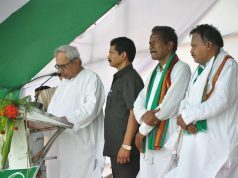 History will have to be rewritten; the Prachi Mahatmya will find its right place in history. According to Dr. Biswajit Mohanty, the Prachi was a vibrant navigable river till the early 1940s. However the reckless crisscrossing of roads, the national highway, and rampant construction on its flood plain has choked the river and it has been reduced to a rivulet. Today the Prachi is a dried up river, which is only visible during the monsoons. 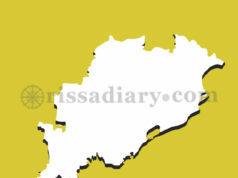 Mohanty says that the river should be dredged and the inlet opened to make is navigable. The dead river should be given a fresh lease of life. The entire bank is dotted with ancient temples, ghats, mutts and picturesque settings which can make it a major centre for pilgrimage and tourism. Former bureaucrat Sanjib Hota says that the Prachi, as a sacred river, finds reference in the ancient puranic literature such as Markandeya Purana, Kapilasamhita, Prachi Mahatmya and the Odia Mahabharata. It is the only place where the unique blend of various religious cults, which include Jainism, Buddhism, Tantrism, Shaivism and Vaishnavism can be found in a chronological order. Batakrushna Tripathy said that the huge tourism and pilgrimage potential of the area will come to fore due to the ASI and Intach efforts.